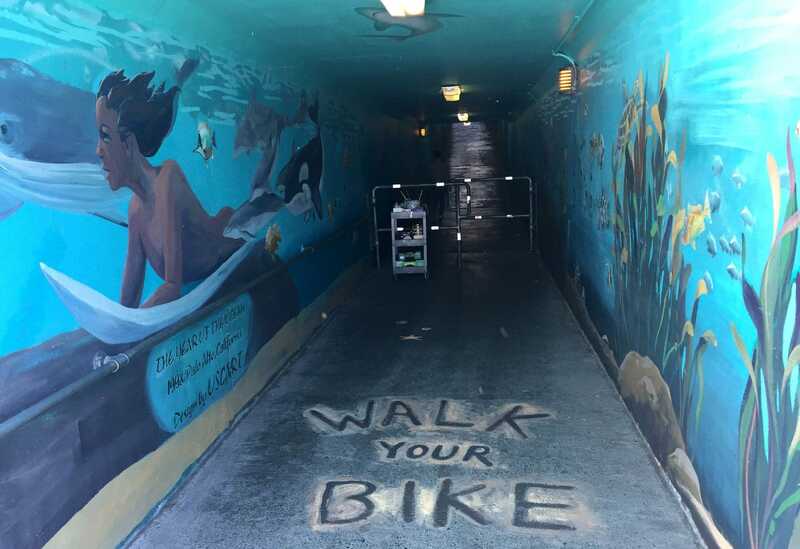 The California Underpass is a 180 foot long tunnel at the end of California Avenue in Palo Alto, CA. 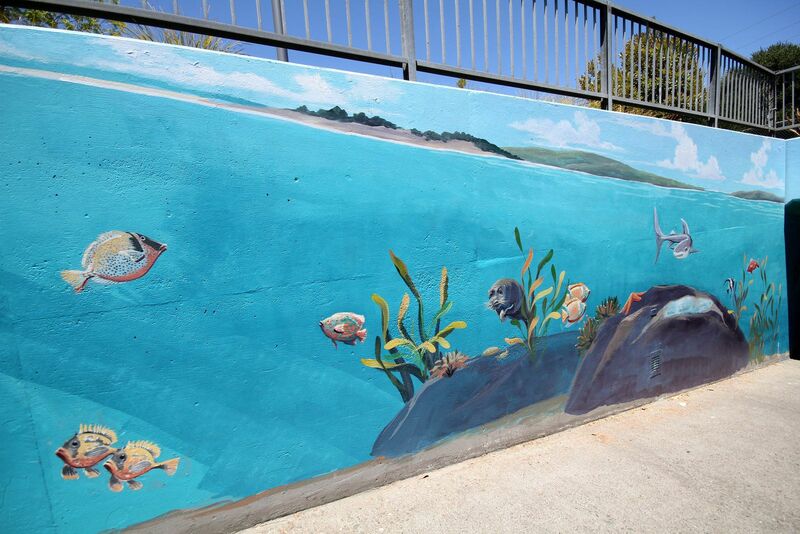 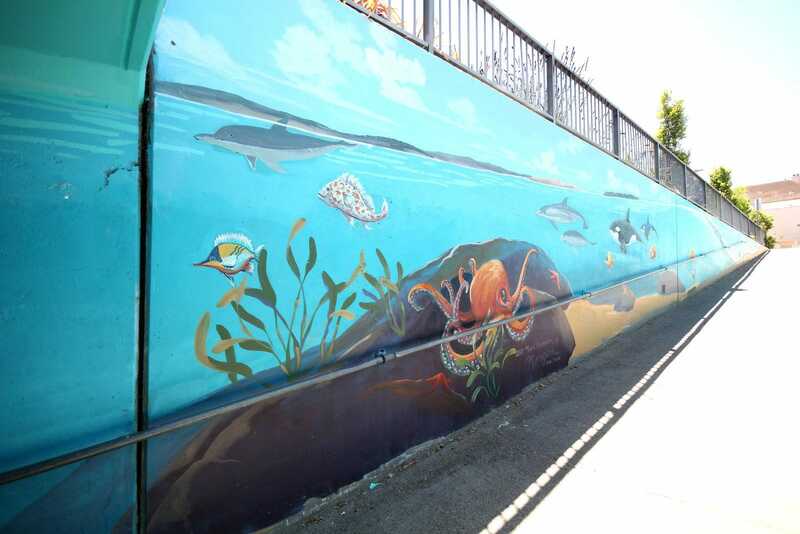 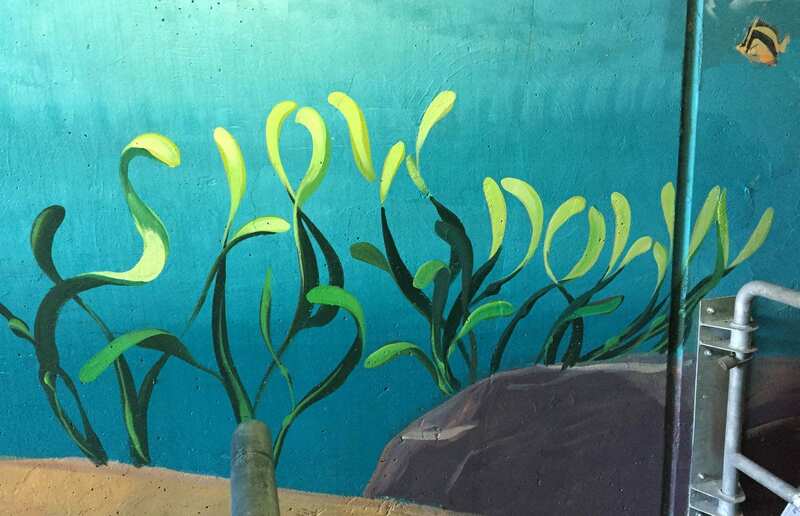 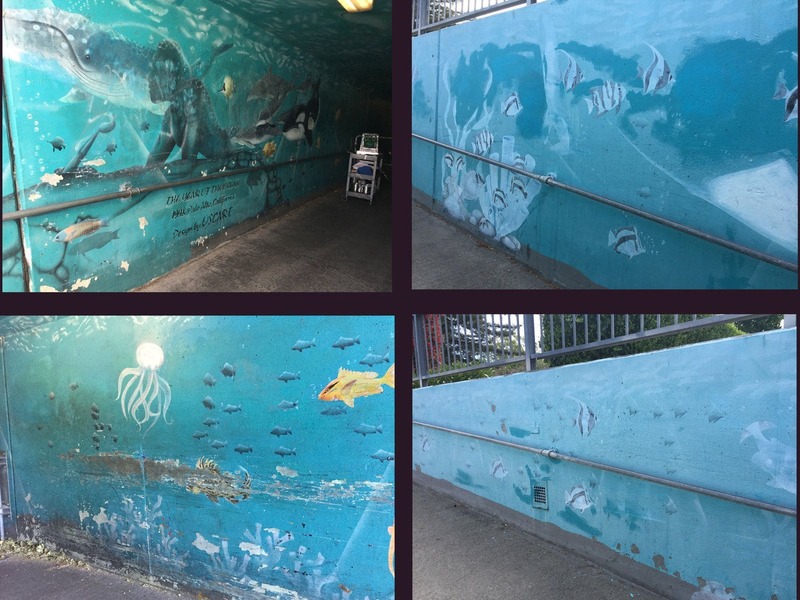 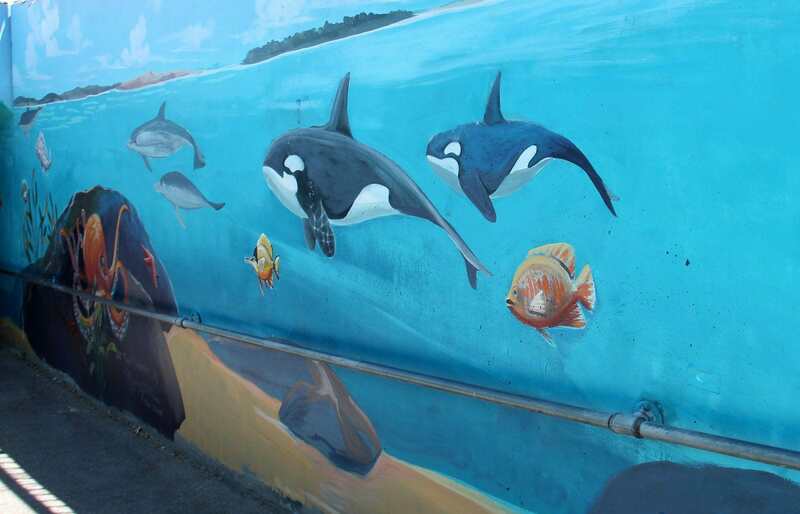 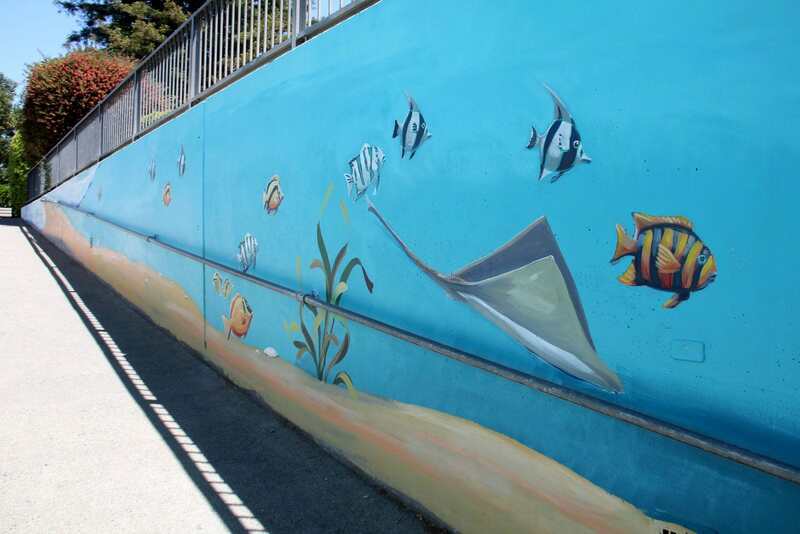 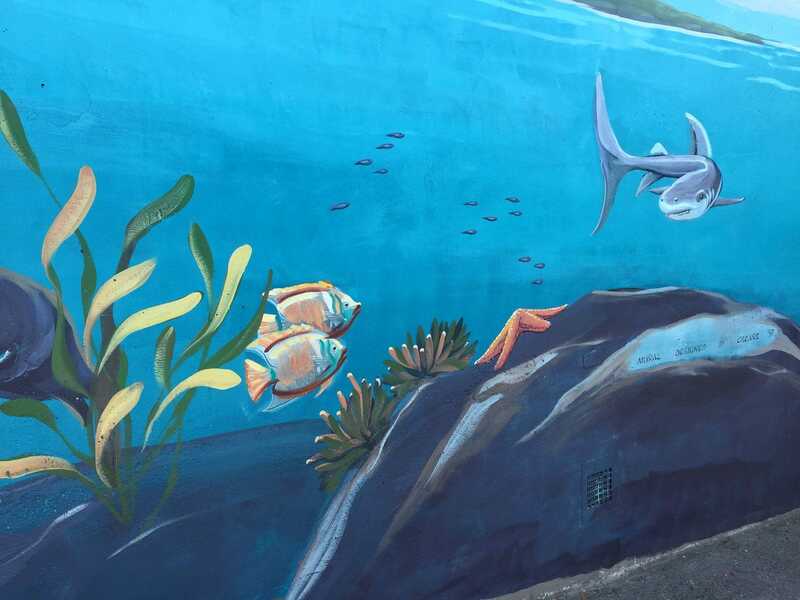 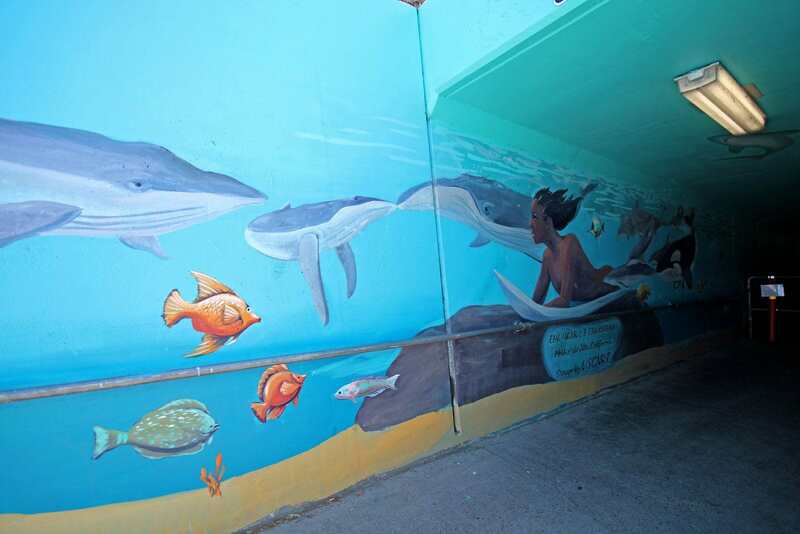 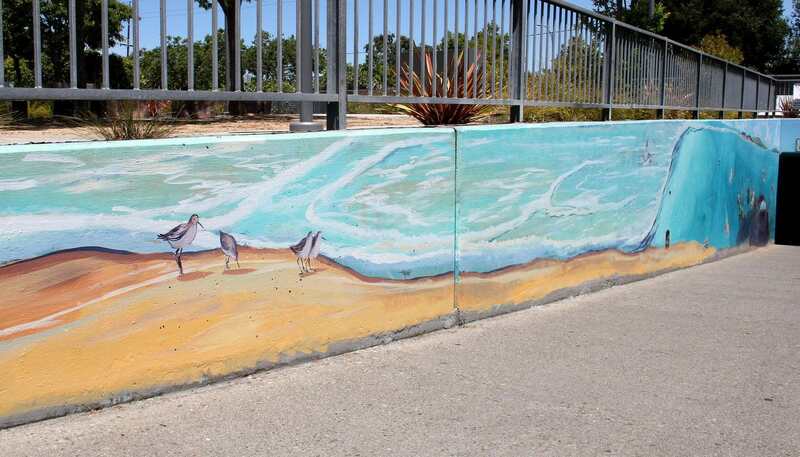 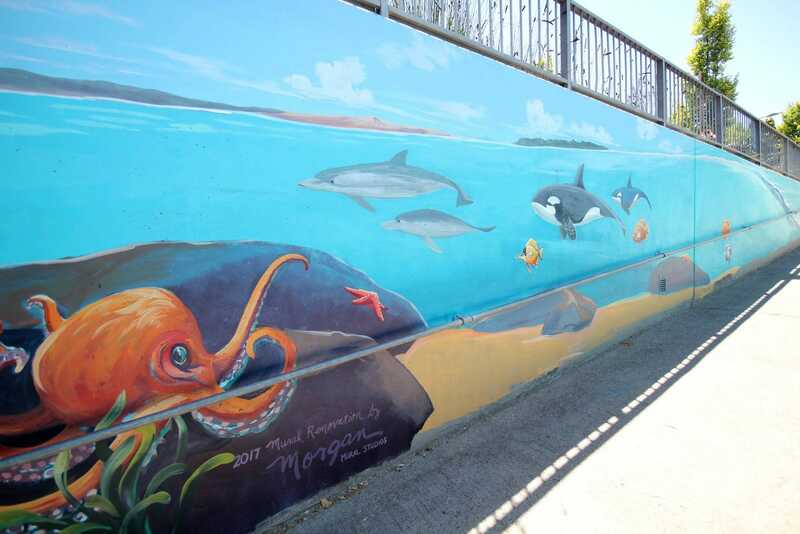 An ocean-themed mural had been painted in the tunnel in 1998 by a team of volunteers but the artwork had deteriorated and needed to be freshened up. 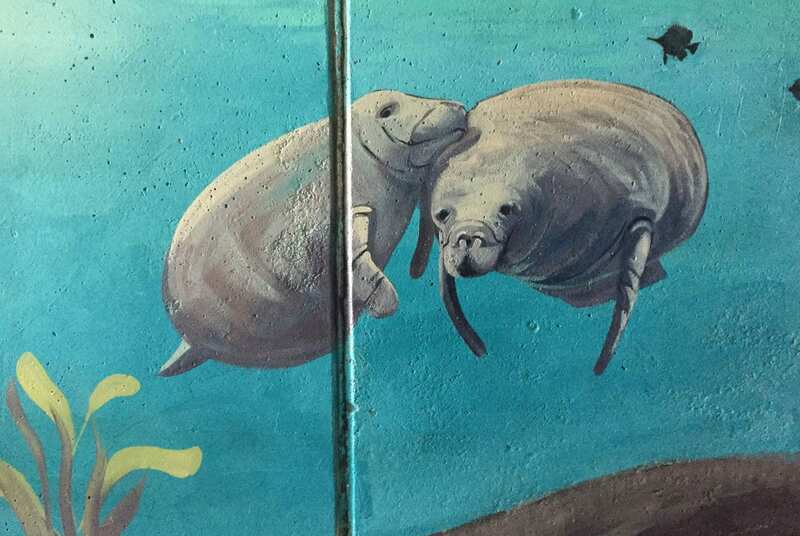 The update was completed in June of 2017. 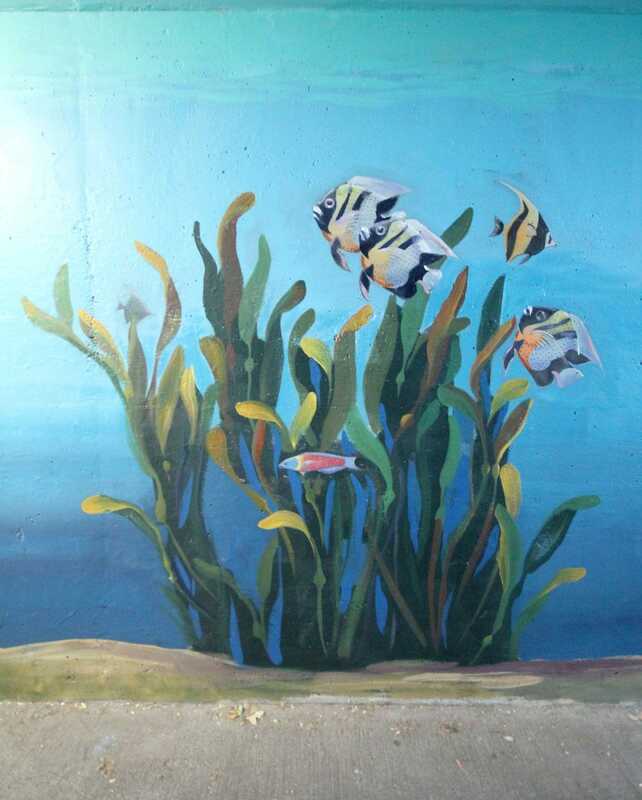 For more information about this mural project, read my blog post The California Avenue Underpass Mural Renovation Project.